Manchester United have reached an agreement over a new five-year contract with Anthony Martial, it has been claimed. The forward wanted to leave Manchester United last summer after feeling frustrated under Jose Mourinho, but his form has been good this season. And the Frenchman has further flourished under Ole Gunnar Solskjaer, who has taken the hand brakes off the team and wants his flair players to express themselves on the pitch. Manchester United triggered a one-year extension to his contract earlier in the season to gain more time for negotiations and talks have reached the desired result. According to French radio station RMC, Martial has agreed to sign a new five-year contract with Manchester United and has pledged his future to the Old Trafford club. He will put pen to paper on a new deal with Manchester United before Friday and months of speculation over his long-term future at Manchester United. Mourinho wanted to sell the player last summer but the club hierarchy resisted selling one of the most talented young players in their squad. 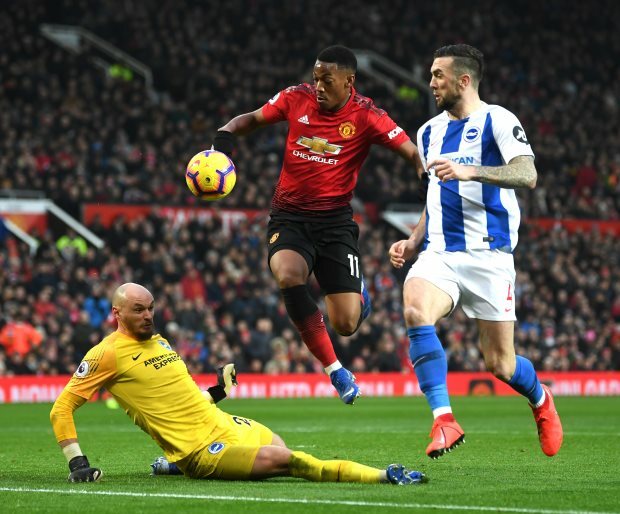 Manchester United signed Martial in a big money move from Monaco in 2015 and are confident about his ability to become a superstar at the club.